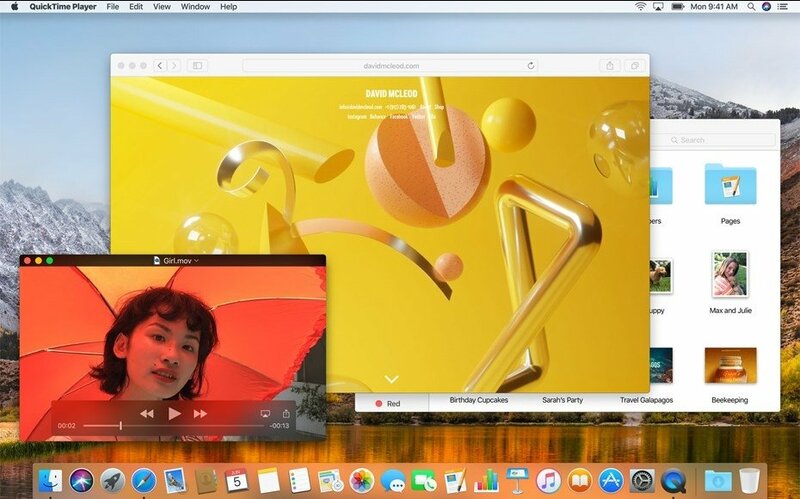 The fourteenth version of macOS (previously known as OS X) was announced in June 2017 at the Worldwide Developers Conference organized by Apple. This new version of the operating system for Mac is 10.13, replacing 10.12 which is also known as macOS Sierra. Its name lets us know that it's basically a general improvement to the previous version since it has been called macOS High Sierra. Leaving behind the series of large North American felines, its name refers to the region of High Sierra in California, within the Sierra Nevada mountain range. As we mentioned above, it's presented as a fine-tuned version of its predecessor mainly focused on performance improvements and technical updates rather than obvious improvements to the eyes of the user. What computers support macOS 10.13? This information is important since it tells us what users can install the public beta version and the developer version, whilst we wait for a stable edition to be released. When will macOS High Sierra be finally out? Well, Apple says that probably in September or October 2017.
iMac: models from the end of 2009 and hereinafter. MacBook: models from the end of 2009 and hereinafter. MacBook Pro: models from mid-2010 and hereinafter. MacBook Air: models from the end of 2010 and hereinafter. Mac mini: models from mid-2010 and hereinafter. Mac Pro: models from mid-2010 and hereinafter. 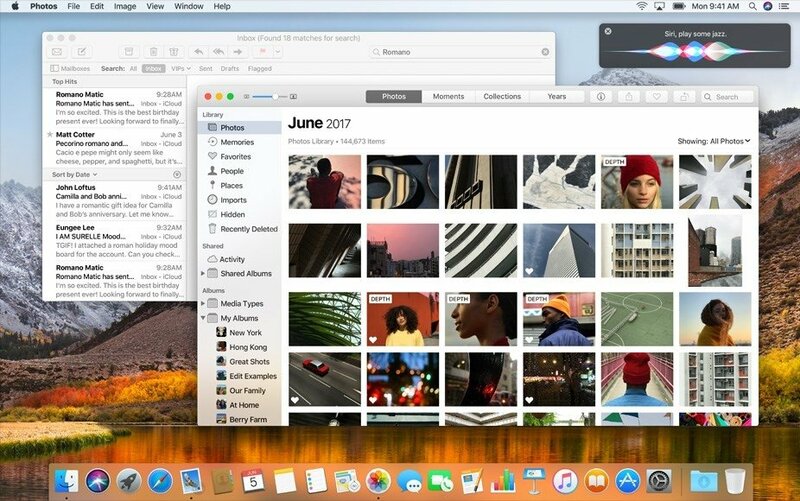 What's new in High Sierra? As we said before, the improvements of version 14 of OS X are focused on the performance of the system and applications, rather than on enhancing usability and implementing ground-breaking functions. All in all, it offers us more stability and speed. Renovation of the file system with a new organization. The Apple File System arrives with a 64-bit architecture, greater speed and a new and safer encryption. New HEVC video standard with up to 40% more compression without jeopardizing the image quality. We're talking about H.265, an upgrade to H.264. Greater integration with virtual reality systems. New functions for the Photos app to browse through our collection in a more intuitive and comfortable manner, with new features to enhance and organize images. Internet browsing improvements for Safari: anti-tracking protection, individual settings for specific web pages, and reading function that's automatically enabled on compatible webs. New functions for Siri: click and recommend music, and a new range of more natural voices. iCloud: send links to other users to share contents, store your message history, and contract new family plans. Spotlight: expands its search capacity. FaceTime: capture images from your conferences. Mail: carry out more precise searches in your emails. Notes: order your notes by importance and add tables. How to install macOS High Sierra? Step 1: make a backup of your files (not compulsory but recommendable). Step 2: click on the green download button that will take you to Apple's public beta versions. Step 3: press on the Sign-Up button and log in with your Apple ID. Step 4: after accepting the legal notice and pressing the macOS tab, click on Download Profile. Step 5: the file will start to download. Wait for it to finish and then double click on it. Step 6: an update tab will open in the Mac App Store offering your operating system available. Just proceed like with any other update. Future updates will appear in the system updates tab.